So, here it is, recently I joined the Hangout By two Google Adsense people who made my day. It was all about How to Block certain different kind of ads from showing up on your sites. 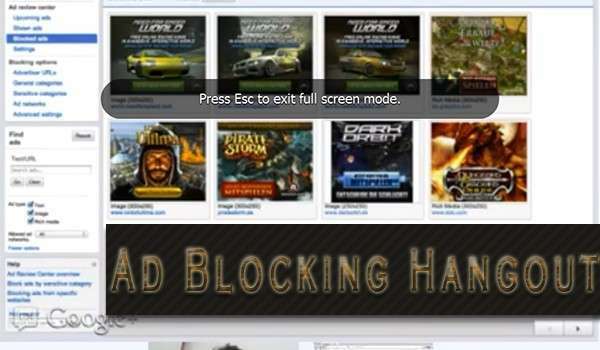 Google Adsense user can only block 500 ads, how to choose them wisely and make them available if we ever want to. The video below is the recording based on that Ad blocking Hangout On Air. I hope so it will add a lot to your present knowledge of Adsense.